Info: 500 acre former Boy Scout Camp, cost $22.. There is no alcohol. Participants must be 18 or older. There is no Friday night battle. No firing until the battle starts Saturday morning. Lunch there is no set time for lunch take it on the move. No SA, Allgemeine SS, Hitler Youth, Black Shirts or other political impressions are premitted. MAPQUEST directions will get you lost at the dogleg. Take I-77 and get off at exit # 93 which is Rt. 212.
although it might not seem like you are). This is the dogleg. 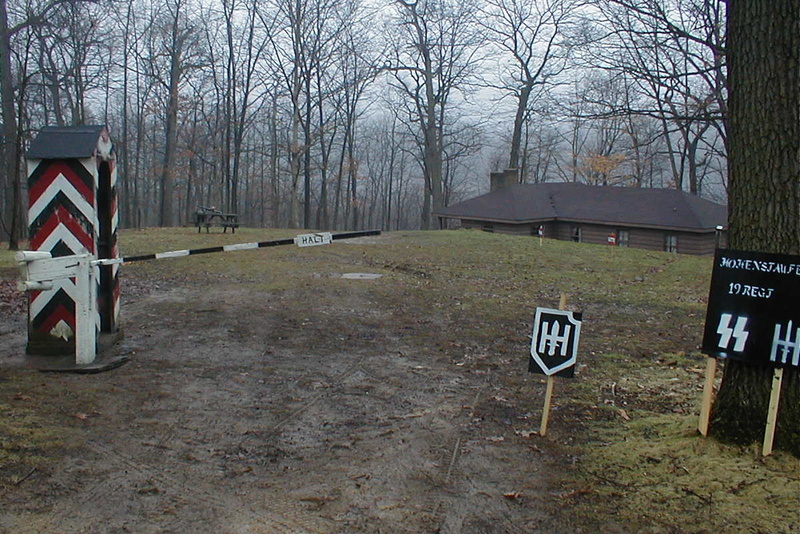 Turn Right onto Boy Scout Road (there is a Camp Tuscazoar sign there). Go about ½ mile up a hill the camp is on the right. Find registration and sign in. Do not leave unfired blanks on the battlefield. 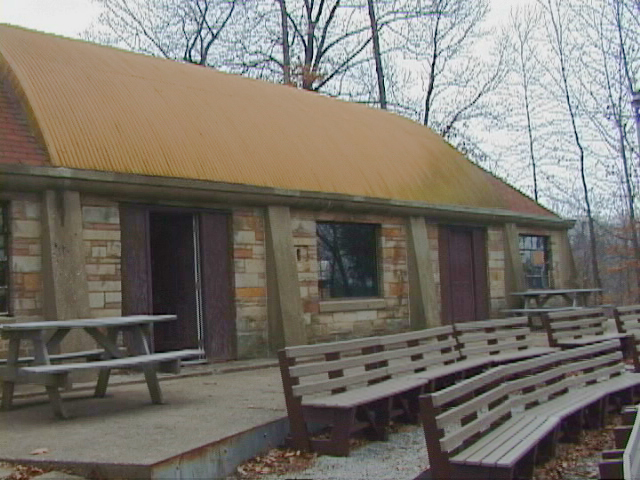 Camp Tuscazoar near Zoar Ohio on the Tuscarawas River. The first people to pre-register get the choice cabins. If you want you’re whole unit in the same cabin then send them in quick! Cabins will be given out on a first come first serve basis. There are small and large cabins so pre-register early. The cabins are available for Friday and Saturday night. There is no extra charge for a cabin you just have to register quickly to get into one. The cabins have running refrigerators, stoves, wood burning heaters or conventional heat. If your cabin has a wood burning heater there will be firewood but you might have to collect some from outside. The cabins have bunk beds (some stacked 2 high and some unstacked). There is a mattress but no pillow or mattress cover. If you want a certain cabin then pre-register your unit (with all their forms and money). 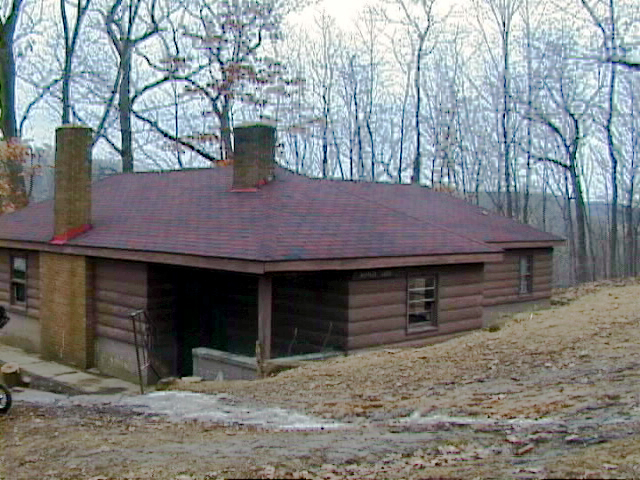 There are large and small cabins. There will be no charge for umpires but registration is necessary. 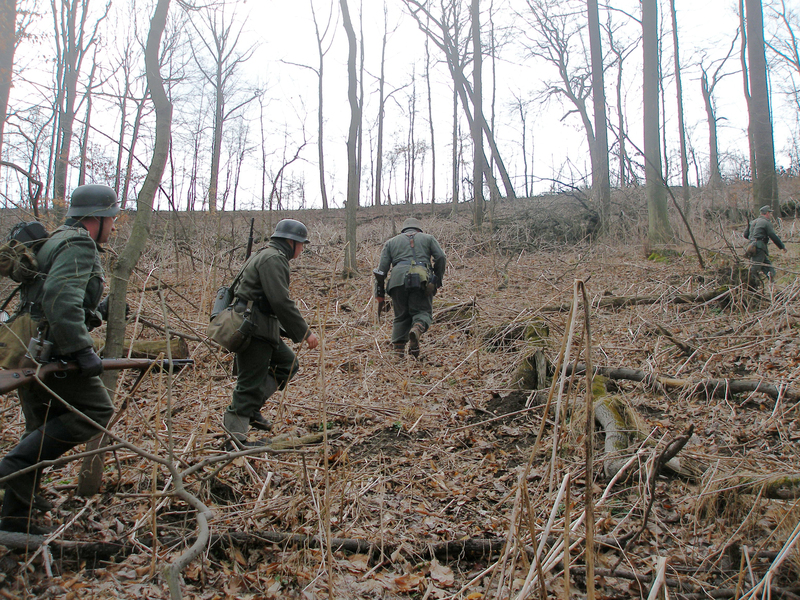 All participants must be a member of a recognized reenactment organization. Vendor's spaces are free. WWII vehicle owners are free (don't register on Eventbrite then just e-mail me). $22 pre-registration   $25 at the gate     Vendor's spaces free!! !